Net Entertainment has been around since 1996. The company was founded in the country of Sweden and operates as a publicly listed company. Net Entertainment focuses on offering games that are of the highest quality both visually and through the different features. Its innovativeness has won the company several awards in the industry. Currently players from the United States are not accepted on Net Entertainment sites. Read more about the winning strategies. The gameplay options are numerous. You will be shown the most popular online casino sites through the http://www.casinonetentertainment.fr/ site. What an exciting way to start your day. The software from Net Entertainment is flash based and can be played instantly. Players do not have to download anything on their hard drive in order to play these games. A player that wants to try out the games without paying anything can do so without registering at any of the online casinos. In order to try out a new game simply open it and start playing. 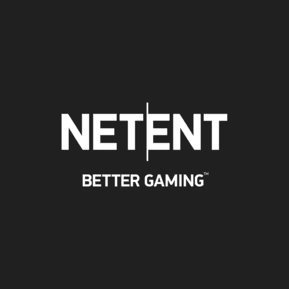 The company has their main focus on Europe and many of the European operators are licensees of Net Entertainment games. Cherry Casino and Mr. Green Casino are two of the operators of the software. The company is available in over 20 languages and bets can be made in Euros as well as several other Scandinavian currencies. There are over 100 casino games offered by the company. Of these games over 60 of them are slot machines. The majority of the slots games are 5 reel slots, but there are some that are the more classic 3 reel slot. Some of these slot machines offer a local jackpot and others have larger pooled jackpots available. These jackpots can reach well over a million credits and are one of the reasons many players are drawn to the Net Entertainment sites. Some of the table games that are available include different types of roulette, casino poker, blackjack and baccarat. There are 3 wagering levels available including the low roller, high roller, and standard. One cannot discuss Net Entertainment without mentioning the fact that the games offered by the company simply have superior graphics to games found on other sites. The 3D graphics stand out above others offered by similar sites. Many of the slot games have animations that go well above the normal win combinations that are found from other gaming companies. The idea of the company is to provide high quality games and they have done this over the years by focusing on the overall quality of their games as opposed to the quantity of games produced.